Here is a story about some of the safety and concerns that power companies have in regards to New Year's Eve parties. NV Energy says Mylar balloons easily lead to power outages, and is reminding people with New Year’s Eve coming to keep balloons secure during celebrations. Mylar balloons are helium-filled balloons coated with a metallic finish. If they come in contact with power lines, they can cause equipment to fail, resulting in a power outage. 1. Customers are encouraged to tether Mylar balloons. 2. When disposing of the balloons, puncture them to release the helium. This will prevent the balloons from coming into contact with power lines and causing a power outage. 3. Do not try to retrieve the balloon from the power line, instead please contact NV Energy at 775-834-4100 to report the problem. Here is a good story from a local mom raising awareness about the dangers of carbon monoxide poisoning. In January of 2018, Karen Weiss' son, Hunter, died because of carbon monoxide poisoning. He and a friend were driving home when they decided to pull over to sleep and keep warm using a small propane heater. "I'm sure the boys thought by having one window open that would be enough," she says. "But I have since learned that you need to have a cross draft in order for that not to happen." Weiss says she wants to use this tragedy to help make sure this doesn't happen to other families. "I don't want any other moms, or dads for that matter, to go through what I've gone through because it's horrible and if we can just save one more life then I've done my job," Weiss says. Experts warn that heating devices that burn fossil fuels like portable camping and heating stoves can produce dangerous levels of carbon monoxide. "Those are the items that produce carbon monoxide and when it's not properly ventilated the person becomes sick with flu-like symptoms, headache and becomes nauseous," Reno Fire Marshal, Tray Palmer, says. Palmer says it's especially dangerous because carbon monoxide is odorless and colorless. He says if anyone is experiencing these symptoms, they should call for help. "Don't be afraid to call," Palmer says. "That's why you pay taxes. W're here to respond." Palmer says that RFD receives a higher volume of carbon monoxide related calls during the winter months because people turn on their heating systems and mistakenly warm their cars in garages. Palmer recommends you install a carbon monoxide detector in your home near the bedrooms. Here is a stroy from a building downtown that is being torn down with lots of history to the community. In our rush to build the future where we will live, we often waste little time on a backward glance. So, after a century and a half of history, there's little beyond museum photographs to track where we came from. Today's downtown skyline contains few tangible mileposts of that history. Longtime residents remember some landmarks, now gone, and the rare debates that preceded their passing. A few of those discussions were contentious. The Mapes Hotel imploded after years of argument in spite of its listing on the National Historical Register. The Virginia Street Bridge, an easier call after a series of Truckee River floods, is still missed by some. We gave little thought to the two-story brick building at Commercial Row and Sierra Street. It never ranked as a landmark in our eyes, but its place in our history should be noted as we're about to bid it goodbye. Built in 1872 as Reno's Masonic Hall, it's just about our last link to that time when Reno was growing from a dusty frontier crossroads to a real community. "It was a hub,"says Sheryln Hayes-Zorn of the Nevada Historical Society. "Freight trains and freight coming in and out of Reno, going to California, going up to Virginia City. It was a booming and bustling community." Reno's Masons erected an imposing structure for its time right on Commercial Row, then the center of all that our city was becoming. It served not only them, but other fraternal organizations, the kinds of groups that make a community more than a collection of buildings and people. "That's how people got together, had socials, raised money for their members and for people who had disadvantages." The lodge was on the second floor. The first was always occupied by a retail store. For 70 years it was home to Reno Mercantile, selling hardware, groceries and just about everything else a growing community needed. Built of brick, it survived two major fires that destroyed much around it. It also survived depressions and recessions, and the periods of expansion that doomed its contemporaries and most of what followed. As the downtown evolved, retail moved elsewhere, the Masons too; it found no new purpose. In recent decades it's been closed, used only for storage. Truth is, most of us gave it little if any thought. Soon it too will be gone, making way for a multi-story extended stay hotel connected with its next door neighbor, the Whitney Peak. Interior demolition has already begun. Soon the walls that witnessed all that history will also be just a memory. "It's just one more that's going away and it's sad, but there's so much growth. They have new ideas what they want to use the space for." Can your bedroom door keep flames and smoke out? Here is a good video on how safe your bedroom could be during a fire. These little tips could definitely help any person during a fire situation. Enjoy the video. These little tips could keep your family safe and alive. Hope this helps any husband, wife or parent. Here is the link for the story. Officials are issuing an urgent alert when it comes to home fires – sleep with your bedroom door closed. Turns out, this simple decision dramatically increases your chance of survival if your house were to catch fire. TODAY national investigative correspondent Jeff Rossen reports and has an eye-opening demonstration. Please take a moment to pray for the families who suffered a loss one year ago at the hands of pure evil. Here is the link for the story. The City of Reno will join the statewide #VegasStronger movement by going dark Monday, October 1, 2018 from 10:01 to 10:04 p.m. The Atlantis Casino resort will also go dark Monday night at 10:01 p.m. In southern Nevada- all marquees on the Las Vegas Strip and the famous Welcome to Las Vegas sign will go dark at 10:01 p.m. for three minutes of remembrance and quiet reflection. Here is a link to a local wildfire in Dayton. Crews are responding to a brush fire in the area of Highway 50 near Gold Ranch in Dayton, according to the Lyon County Sheriff's Office dispatch. According to Trooper Matt McLaughlin with the Nevada Highway Patrol, both directions of traffic are currently closed at Gold Ranch Casino. The fire was approximated to be five acres involving heavy brush and cottonwood trees as of 2:20 p.m. on Tuesday. You are asked to avoid the area until further notice. News 4 has a crew en route to the scene and will continue to bring you the latest as it becomes available. Here is a story about a bear breaking into a home in South Lake Tahoe home. A South Lake Tahoe family got this surprise on June 13, 2018, after a bear broke into their home and it has happened more than once. More than 20 years of living in South Lake Tahoe, Lane Sykes and Carole Scofield consider themselves lucky. "It's a discomforting feeling to think, oh dear, do I dare leave the house," said Carole Scofield, Homeowner. That discomforting feeling lingered from what took place this Wednesday evening. "I still couldn't understand how a seven foot bear, 300 pound could fit through that (window)," said Lane Sykes. But that's exactly what happened, Lane, Carole and their friends left the house for more than an hour. But what happened next, shocked them. A bear managed to get inside the house through a small window and helped itself to a free dinner. "The doors were locked. We left the back window open, which is a small window; I have never thought a bear could get in that window,” said Sykes. The bear made several food trips while the residents were gone. When they returned home, a friend saw the bear in the kitchen. "I thought she was kidding and then I said, ‘oh no, it's Tahoe,’ it could be because she looked frightened and very scared," said Scofield. Carole says this was the second time this bear has broken into their house. Last year, it broke down the front door. Over a 15 years ago, the family says they have had six incidents with bears. Even though the Lane and Carole laugh about the incident now, they hope others can learned from their experience and close all entry points, no matter how small. California Department of Fish and Wildlife says bears usually get their food from garbage cans, but now have expanded their food search further. "Some point in the bear's life gained type of food reward by breaking in a cabin or a home, so they remember that, so the behavior is likely to be repeated," said Lesa Johnston, California Department of Fish and Wildlife. Johnston suggests residents living in bear country, never leave food out people should call 911, if a bear breaks in. Lane and Carole are glad it was only clean up required this time around. "We are very lucky. Both major break ins we were very lucky. I know a lot of people have not been. It has been very costly," said Scofield. The couple are talking with the State Game and Fish regarding the incident to make sure it doesn't happen again. Johnston says if a bear breaks in, make sure you do not block the exits, so the bear can get out to a safe location. Our late spring rain storms has brought on some damages to our roads and homes in the area. Please be careful out there. Here is a story from a mudslide from Alpine Meadows. Two small mudslides have shut down a portion of Alpine Meadows Road. One slide is at Bear Creek Drive and Alpine Meadows Road and the other is a the Five Lakes Trail and Alpine Meadows Road, according to the Placer County Sheriff's Office. The road will be closed overnight, but is expected to be cleaned up first thing Friday morning. We would like to thank all of our men and women who are currently serving. 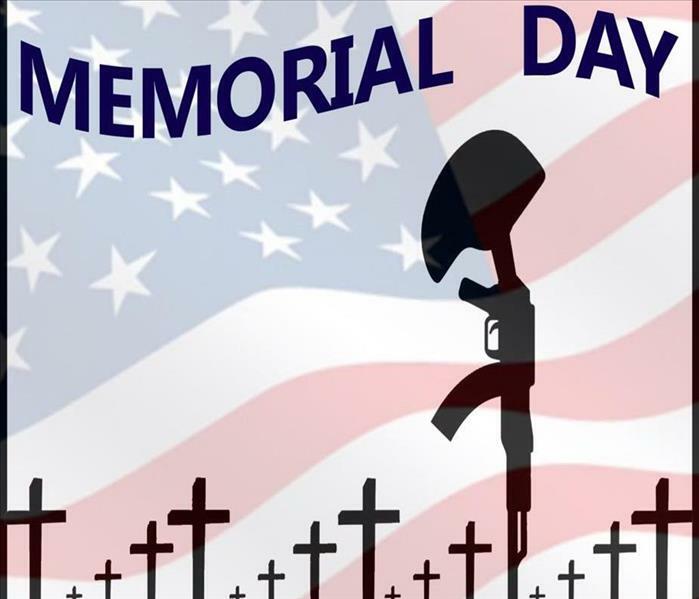 We would like to thank the men and women who have given the ultimate sacrifice for our great nation. Without these individuals who have given their life, my family, would not have an opportunity to live in this country. If you are out this weekend please remind yourself that this weekend is not about sales or an extended weekend so we can have a barbecue. Please stop for a few minutes to remember the men and women that have given their life so that we can be in a free nation. Without their work our nation would be a different place. Without our countries support of the military they cannot survive. Please if you can donate your services, products or time to a special veterans group that is near and dear to your heart. Have a blessed weekend!! Here is a story about flooding that occurred at Topaz Lake. A portion of U.S. 395 near the Topaz Lodge is closed following multiple mudslides. U.S. 395 is closed in both direction from SR 208 to the Nevada/California state line. The closed area is at mile marker 1 in Douglas County. The incident happened around 6:38 p.m. Monday, May 21, 2018. Douglas County officials say approximately 20 occupied vehicles were impacted on the roadways.The Topaz Lodge was occupied with about 200 people who sheltered in place during the event. No one was hurt in the mudslides. Officials say last year's Slinkered Fire in Douglas County contributed to the debris flow. The Nevada Department of Transportation has sent a plow and a loader truck to remove mud from the road. Emergency personnel are doing further assessment to homes and county infrastructure below the lodge and along Topaz Park Road. Northbound traffic is stopped on the California side. Southbound drivers are being diverted onto SR-208 through Wellington. There is no estimated time the road will be cleared. The Douglas County Sheriff’s Office, Douglas County SAR and the Douglas County Public Works Road Department responded to the incident. Cal Trans, Mono County EMS, California Highway Patrol, and Antelope Valley Fire assisted from the California side. 10/17/2018 - Can your bedroom door keep flames and smoke out?